Pro Track Pro Star Series Drag Front Wheels are CNC Machined for accuracy. 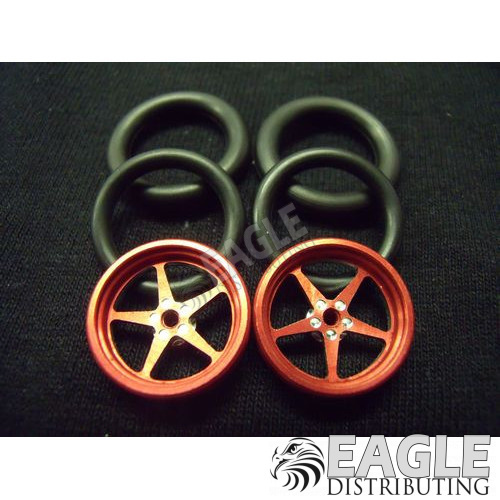 The wheels are approximately 3/4" in diameter and included are two sizes of O-Ring fronts giving you more options to achieve the desired look on your masterpiece race car. The wheels are anodized red, then final a final machining to hi-lite the design features.